Florida's governor signed an act making the Florida State College for Women coeducational and renaming it Florida State University on May 15, 1947. It was the defining chapter in the already long history of the school, which traces back to the U.S. Congress' 1823 decision to establish learning seminaries in East and West Florida and the 1827 creation of a school for males and females by the Presbyterian Church called The Leon Academy. In 1855, an all-male academy called The Florida Institute opened with around 100 students, and it was combined in 1857 with the Tallahassee Female Academy to become West Florida Seminary, located on a rise of land known as Gallows Hill -- the former site for public executions. The site, near the the present Westcott Building, is the oldest continually used location for higher learning in Florida. During the Civil War, the Confederate government changed the seminary's name to The Florida Military and Collegiate Institute and began military training for soldiers. The institute's cadets joined other Confederate soldiers to defeat Union forces at the Battle of Natural Bridge in 1865. After the war, the college reverted back to West Florida Seminary before becoming part of the first state-sponsored university, Florida University, in 1883. A four-year curriculum was established by 1891, and the first commencement took place that year under the name Florida State University. 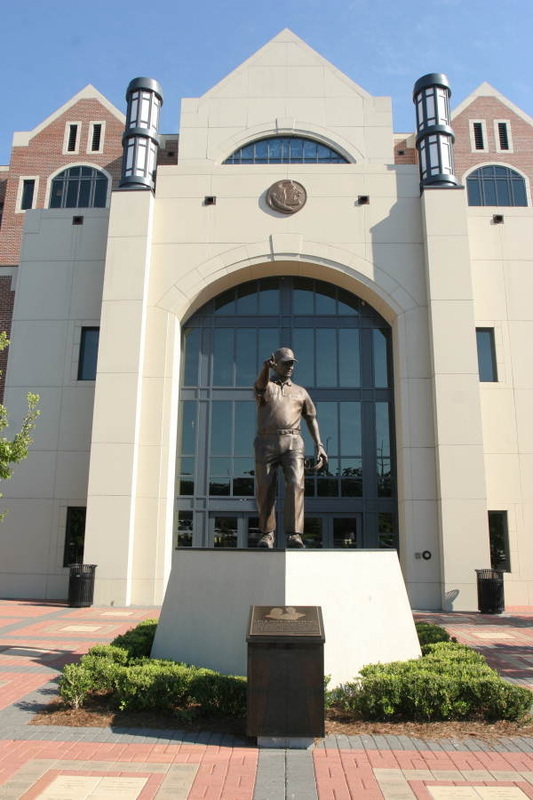 In 1901, it was reorganized as Florida State College. In 1905, the Buckman Act reorganized Florida's six colleges into three institutions segregated by gender and race: a school for white males, a school for white females, and a school for African Americans. Florida State College became Florida Female College until 1909, when it became Florida State College for Women. The college for white males, meanwhile, was located in Gainesville as the University of the State of Florida. Males who formerly attended Florida State College were required to transfer to the Gainesville campus. By 1933, the Florida State College for Women was the third largest women's college in the U.S. Then after World War II, Florida's university system faced a heavy influx of returning soldiers taking advantage of the new G.I. Bill subsidy for higher education. 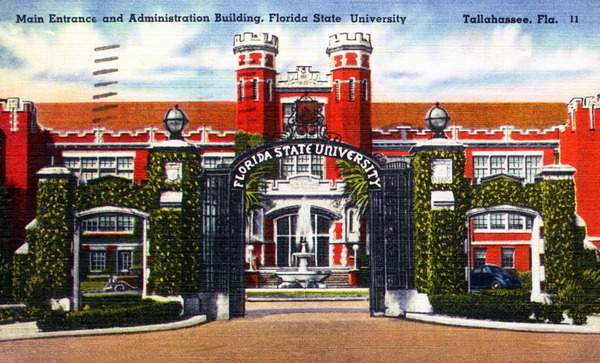 A Tallhassee Branch of the University of Florida was opened on the campus of the women's college, with men housed in former barracks on Dale Mabry Field, an Air Force training field west of Tallahassee. 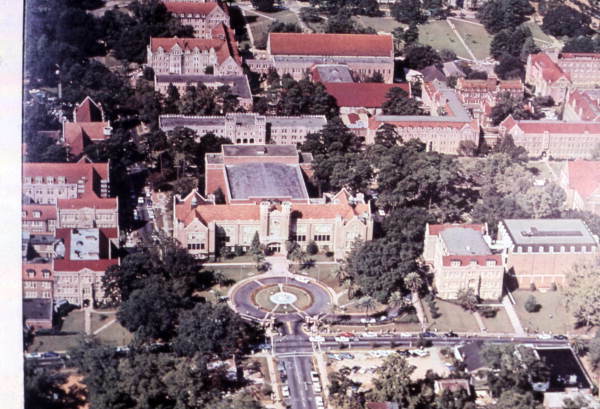 When the Legislature returned the college in 1947 to co-educational and university status, 954 men were enrolled in the Tallahassee Branch of the University of Florida. A new alma mater was established, a football program was created and the student body, totalling 4,056, chose the Seminole as their mascot. Racial integration did not take place until 1963.